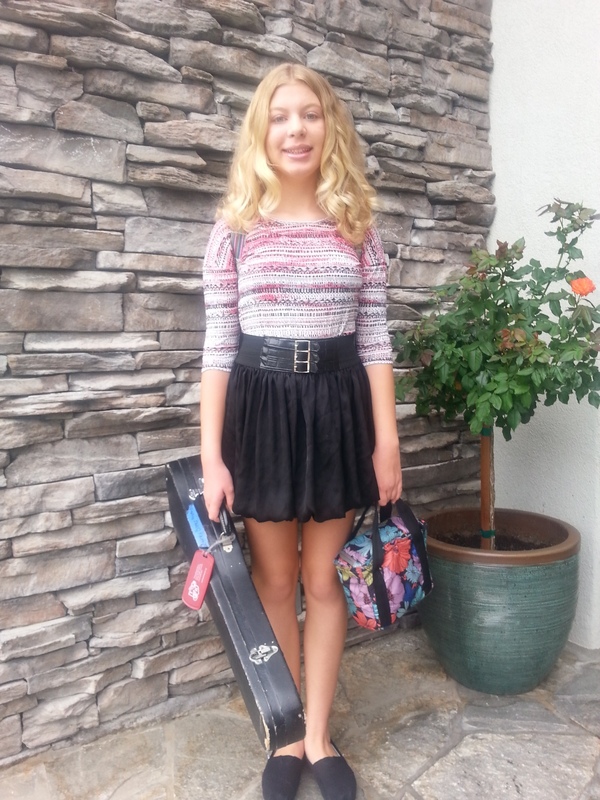 My youngest daughter, a fashion conscious seventh grader, just loves clothes. She also loves a good bargain. Rarely do the two go hand in hand. Fortunately for her, Savers Thrift Store has come to our neighborhood to give shoppers value priced goods while giving back to the community at the same time. Opening Thursday, September 3rd at 4852 Vally View Ave in Yorba Linda, it is the third location in Orange County and the newest in the 330 store chain with locations in North America and Australia. It has everything under the sun including adult and children’s clothes, shoes, handbags, kitchen ware, furniture, and home décor. 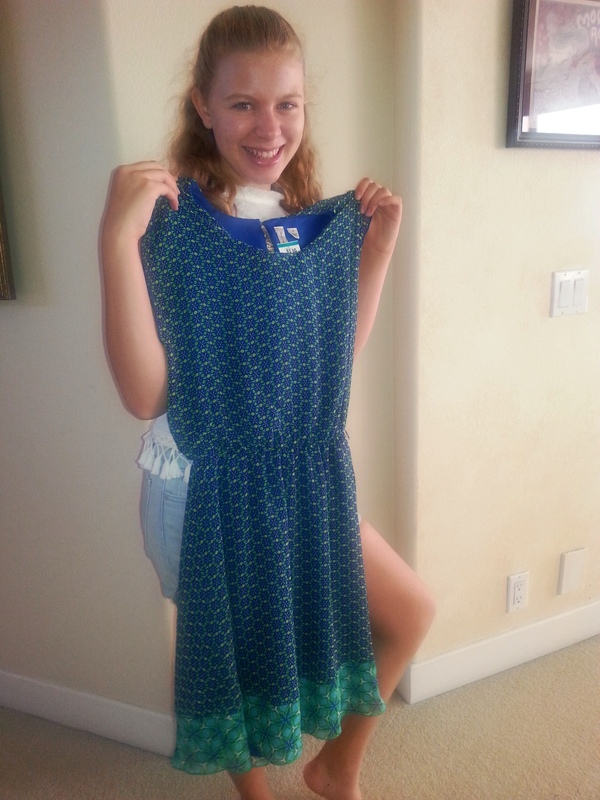 We became familiar with Savers while visiting my aunt this summer in Massachusetts. 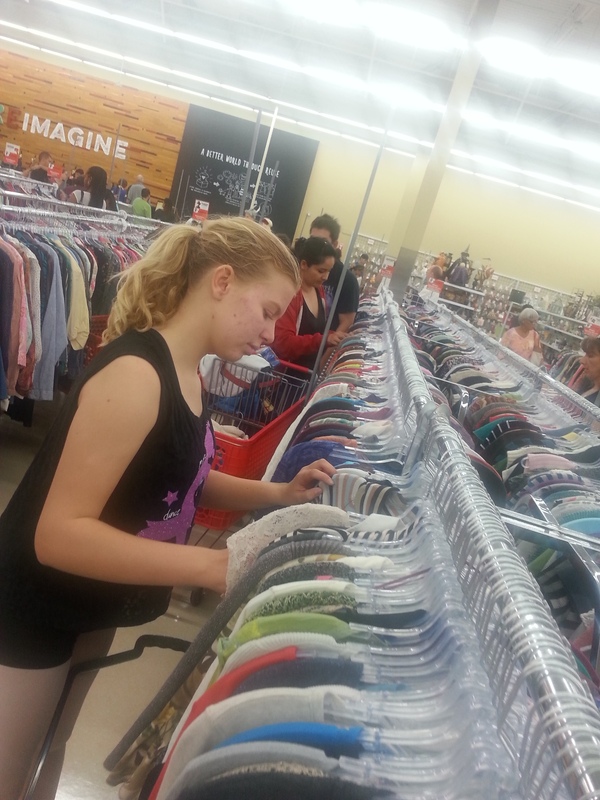 She took us to her local Savers, a thift store unlike any I’d ever seen. It was huge with such a great variety of items. My daughter was in heaven roaming the store, picking up a truly unique chiffon-esque skirt with built multi buckle in belt for just $5 and a black hook closure high waisted jacket for $6. Not just inexpensive, but items that you wouldn’t easily find in your local Target or Kohl’s. We also found a good variety of shirts for $3, and even a Mickey Mouse embellished hoodie for under $5. No Disney $50 sweatshirt for us! When we heard about a Savers coming to Yorba Linda, we jumped at the opportunity to check out the new store right near us. Our visit to the 18,000 square foot location for the preview night had a goal. We aimed to see how far $50 would go. I could have blown that in the first five minutes as I walked through the Halloween décor and costume section which, unlike the other traditional departments, was all new goods at value prices. But clothing was on the agenda, so to the racks we went. It was so easy to navigate. All goods were separated by type (short sleeve shirts, long sleeve shirts, etc.) and size (1/2, 3/4, 5/6, and on up to plus sizes) in a neat and organized fashion. After we gathered up some great tops, dresses, and even fuzzy pajama bottoms for both of my daughters, I managed to find a great little skirt for myself. Started in 1954, the business model is unique. While operating for-profit, it also proclaims to be “a thrift store with a community conscious.” Not content to just resell goods, Savers aims to give back. Merchandise such as clothing, shoes, books, house wares, and even furniture is acquired through donations from people in the community and beyond. Each store partners with a community nonprofit. At the Yorba Linda store, individuals can pull up to the donation center adjacent to the store to drop off gently used goods. For every merchandise donation, Savers makes a monetary donation to Big Brothers and Big Sisters of Orange County, whether or not the item sells in the store. Now that we’ve scored some great finds, we aim to purge our closets and cupboards with a donation trip. Giving back will be a great excuse to visit again and see what’s new. Karen Bremer is a North Orange County native. She’s a mom, freelance writer, and owner of www.shopbeecreative.com. Her company Bee Creative specializes in products for scrapbooking, card making, and paper crafting online and in person at consumer shows in major cities around the country. 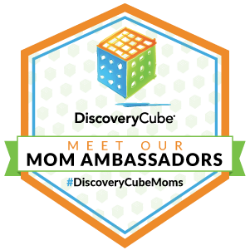 Married for 16 years with 13 and 11 year old girls, her business provides the flexibility she needs to be a dance mom, room mom, and girl scout leader among other titles. Free time? She’s never seen it and wouldn’t change it for the world.